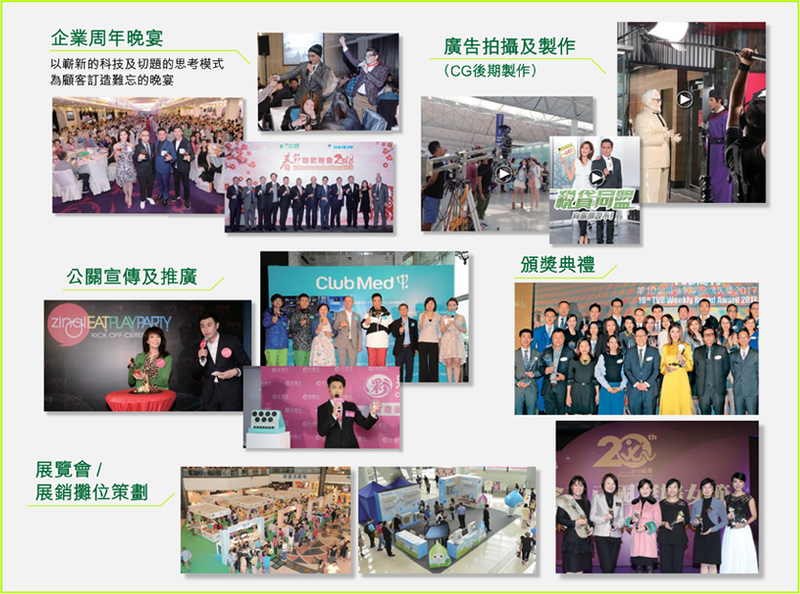 This personal information collection statement (“PICS”) for TVB Publications Limited (“TVBP”) applies only to information submitted and collected through your use of our website http://www.tvbweekly.com (“Service Website”), registering or applying to take part in any of our games contests or activities, purchasing/subscribing/accessing/using our product(s) or services (collectively “Service”) (“we”, “us” or “our”). By submitting your personal identifiable information, you agree to the terms of this PICS, as updated from time to time. This PICS is incorporated into and forms part of our general terms and conditions for the use of our Service Website/Service (“T&C”). We regularly review this PICS and its terms and conditions by updating it on our Service Site. By continuing to use our Service after any amendments to this PICS, you are agreeing to this PICS as revised, so please do visit our site periodically for updates. We collect your personal data when you access or apply for our Service or register to be a user of our Service. It is also the case that data relating to your access or use of our Service Site and Service are collected from you when you use our Service Site and Service. request/purchase a product or service from us. information about your usage of the Service Website and/or the Service, which may include the time/duration and the contents and pages visited or our Service used (access log). Please see paragraph 19 (cookies) for further information. Should you be on occasion providing personal data concerning a third party to us, in each of such event, you are required to comply with the Personal Data (Privacy) Ordinance (Cap. 486 of the Laws of Hong Kong) (“Ordinance”) by first obtaining the authorization of such individual(s) before using, disclosing and transferring their personal data to us (including giving consent on their behalf to our possible use, disclosure and transfer of their personal data) for the relevant Purposes (as defined in paragraph 7 below). We may require you to provide us with any supporting documents which may be necessary to prove such authorization. You should also advise such individual(s) that we can be contacted for further information. if it becomes necessary that we have to take action against you for any reason whatsoever including without limitation recovering from you any money you owe us, you expressly agree that the personal data provided by you can be relied upon in identifying and taking legal action against you. any other purposes as may be agreed by you from time to time. You warrant to: (a) provide us true, accurate, current and complete personal data about yourself; and (b) update the foregoing data from time to time. We may suspend or terminate your user account (where applicable) or refuse your access to any of our Service or any part thereof without notice or accepting any liability if we suspect that you have breached this provision. Subject to your consent, we intend to use your personal data (including your name, mobile telephone numbers and email address, region, gender, age range, and month of birth, and record of use of the Service) for direct marketing purposes. joint promotion rewards and with merchants and business partners offering discount and other benefits to use of our Service from and in relation to products and services of or relating to the following industries: entertainment, media and public relations, telecommunications internet connectivity, mobile applications and software, computer peripheral), lifestyle, retail, leisure and sports, sports activities and membership, spa and relaxation activities, household, apparel, food and beverage, transportation and tourism, software, fashion and accessories, electronics, e-commerce, music, gaming, education, environmental, health and wellness, non-profit, information technology, social networking, parenting, financial and property. by an agent on behalf of us, any member company of the TVB Group or our business partners providing the aforesaid products and services. For such purposes, your personal data held by us described in paragraph 11 above may be provided to all or any of the persons described in this paragraph for gain for use by them in marketing those products and services. We may not so use or provide your personal data unless exempted from the Ordinance or we have received your written consent (which includes an indication of no objection). If you wish to withdraw your consent to the use and provision of your personal data for direct marketing at any time, you may opt-out of receiving such materials or communications from the relevant company within the TVB Group and/or our business partners by writing a request to us together with your user name and email address at mkt@tvbwkly.com. We may ask you to provide certain details about yourself so that we can be sure you are the person to whom the personal data refers. We may charge you a reasonable fee for processing such access requests. We shall seek to remove your personal data from our list for direct marketing within ten (10) working days after we receive your notification. governmental or regulatory authorities or other third parties assisting us in detecting, investigating, preventing or otherwise addressing fraud, security, or technical issues. We may also transfer any information we hold about you as an asset in connection with a merger or sale (including transfers made as part of insolvency or bankruptcy proceedings) involving all or part of a corporate reorganization or other change in corporate control. If we become involved in a merger, acquisition, or any form of sale of some or all of our assets, we will ensure the confidentiality of any of your personal data involved (if any) in such transactions and provide reasonable notice before your personal data are transferred and becomes subject to a different PICS policy. An update to this PICS will be posted on this Service Website http://www.tvbweekly.com subsequently. We may transfer and/or disclose necessary such data in connection with the establishment of legal claims or defences, to obtain legal advice, to exercise and defend our legal rights or to protect the life, body or property of any individual. This also applies when we have ground to believe that disclosing the personal data is necessary to identify, contact or bring legal action against someone who may be causing interference with our rights or properties, whether intentionally or otherwise, or when anyone else could be harmed by activities causing such interference. If necessary, we may transfer your personal data to places outside Hong Kong or from the country you are located for carrying out the Purposes (or the directly related purposes) specified above, for which the personal data were collected. Where such a transfer is performed, it will be done in compliance with the prevailing requirements of the Personal Data (Privacy) Ordinance, Cap 486 of the laws of Hong Kong. Cookies are small bits of information that are automatically stored on your device when you visit the Service Website. A cookie can be used to identify a Device, but it is not used to collect personal information of an individual user of the Service Website. The information collected by “cookies” is anonymous aggregated research data and contain no name or address information or any information that will enable anyone to contact you via telephone, e-mail or any other means. The information so collected will be used for compiling aggregate statistics on how visitors browse our Service Site and for the purpose of managing and improving design of the site and/or Service. Some of the cookies are required by the Service Website to enable you to transact whilst other cookies enable us to give you an enhanced, personalized browsing experience. Whilst most web browsers automatically accept cookies, you can edit your browser options to block them. However, if you do so, you may not be able to use some of the functions or access certain areas of the Service Website. By using the Service Website, you consent to the use of these cookies. Except as provided in paragraphs 10 to 18 above, your personal data will be accessed only by our employees or contractors who are authorized to do so. Employees and contractors designated to handle personal data will be instructed to do so only in accordance with this PICS. We have implemented reasonable security measures to safeguard your personal data from unauthorized access, disclosure, use and modification. Please be aware, however, that despite our efforts, no security measures are perfect or impenetrable, and no transmission over the Internet can be guaranteed to be completely secure. We will retain your personal data for as long as necessary to fulfill the purposes for which such data was collected. We will then destroy such data unless their retention is required to satisfy legal, regulatory or accounting requirements or to protect our interests. mkt@tvbwkly.com marking your communication “Confidential” and specifying which part or category of our Service that you have registered for. In response, we may ask you to provide certain details about yourself so that we can be sure you are the person to whom the personal data refers. We may charge you a reasonable fee for processing such access requests. 3. The Service Website and the Service may include links to other services or sites. This PICS applies to the Service Website and the Service only. You are exposed to cookies that are not our responsibility when you access to linked sites or other services, and any information you submit to linked sites or other services will be subject to the privacy policies or personal information collection statement of those sites or services (if any). You are advised to review the relevant policies carefully before providing any information to those linked sites or services. If you wish to contact us directly, please email us at mkt@tvbwkly.com In response, we may ask you to provide certain details about yourself so that we can be sure you are the person to whom the personal data refers. We may charge you a reasonable fee for processing such access requests. Please note that all information, other than the personal data that you send through this email, will not be considered or treated as confidential information. Do not send us through this email any information, ideas, suggestions, proposals or comments that you consider confidential or that you want to be treated as confidential. Your telephone conversations with our staff may be recorded, retained and used as evidence by us without further notice. If any part of this PICS shall be deemed unlawful or for any reason unenforceable, then that provision shall be deemed to be severable from this PICS and shall not affect the validity and enforceability of any of the remaining provision of this PICS. This PICS shall be governed by and construed in accordance with the laws of Hong Kong. Disputes arising here from shall be subject to the jurisdiction of the courts of Hong Kong. If there is any inconsistency or conflict between the English and Chinese version of this PICS, the English version shall prevail. Please read the following terms and conditions ("T & C"/this "Agreement") carefully before accessing and using any materials contained on this site http://www.tvbweekly.com ("our Site"), any Content (defined below), Software (defined below), and/or other media platforms programs and/or applications of TVB Publications Limited (collectively the " Service") which are derived in whole or in part by TVB Publications Limited (“TVBP”) and/or any member companies within the TVB Group (collectively "We" or "Us"). "Content" in these T& C shall mean any content including but not limited to any still picture, voice, moving images, whether animated or otherwise, video, text, articles, editorial works, data, information and/or other material or goods that may be accessed through or on the Service or our Site. We reserve our right to modify and update any part of this Agreement at any time by posting the modified or updated terms on our Site. Except as stated below, all modifications and updated terms shall automatically be effective and supersede any previous versions after they are posted on our Site. You agree to review this Agreement periodically to ensure that you are aware of any modifications. 1. Use of our Service 1.1	Use of our Service requires compatible devices, internet access, and periodic updates. The latest version of software, programs and/or applications from the Service (collectively “Software”) is recommended and may be required to access our Service for certain features. You acknowledge that you are responsible to obtain and maintain at your own expense all equipment, systems, software, and/or services needed to access our Service and updating the Software. 1.2	You agree that the Service and the Content are for your private viewing and not to allow or enable the Service and the Content to be broadcast, exhibited, used, accessed or made available to any person in any place (including but not limited to public and commercial settings) or for any commercial use. 1.3	Unless explicitly stated otherwise, any new features that augment or enhance the Service shall be subject to this Agreement. 1.4	Your browsing or use of different web pages and/or applications linked to the Service may be governed by additional or different terms and conditions. Those additional terms and conditions of such web pages and applications will apply to you in addition to this Agreement and will prevail over this Agreement if there is any inconsistency regarding your browsing or use of those web pages and/or applications. 1.5	Your installation and use of the Service and/or the Software will occupy certain storage capacity of your device. Therefore, you are recommended to maintain sufficient storage capacity in your device at all times. 1.6	When you use the Service with your network bandwidth service, your network bandwidth may be reduced. As your use of the Service will consume internet connection and incur network data transmission fees, please beware of your network consumption and the network data transmission fees being charged by your network service provider. Please contact your network service provider for any queries. 2. Your Obligations 2.1	You may only access the Service for your non-commercial and private viewing purpose, provided that you shall keep intact all copyright and other proprietary notices and act in accordance with our timely instruction. (xi)	download or make use of any of the Service, Software, Content, applications or other materials: (a) in any device and promote, sell, circulate or distribute such device in the market, or (b) for any commercial purpose or usage, or (c) for purposes other than private viewing on your personal, authorized device. (iv) abide by all relevant laws of Hong Kong and any operating and/or usage rules, as amended from time to time. 3. Personal Data Collection 3.1 We will apply and comply with the laws and principles of the Personal Data (Privacy) Ordinance (Cap 486) ("Ordinance") of the Laws of Hong Kong Special Administrative Region of China ("Hong Kong") when processing your personal information. We may also collect your personal information subject to our Personal Data Collection Statement. Please refer to the terms and conditions of our Personal Data Collection Statement (PICS) as set out on http://www.tvbweekly.com. We reserve the right to modify and/or update our Personal Data Collection Statement at any time and post the modified version on our Site. Your use of the Service following the posting of such change to the Personal Data Collection Statement will constitute your acceptance of any such changes. 3.2 You represent that all personal information provided by you are accurate and updated. You can correct factual errors in your personal information by sending us a request that credibly shows error by email to mkt@tvbwkly.com. To protect your privacy and security, we will also take reasonable steps to verify your identity before granting access to making corrections. Your personal information will be maintained securely in our system. Only authorized person(s) will be permitted to access such personal information. 3.3 You agree that we may collect and use technical data and related information including UUID, technical information about your computer, device, system and application software that is gathered periodically to facilitate the provision of software updates, product support, personalize the contents and marketing, and other services (if any) to you related to the Service. 3.4	You understand that by using the Service, you consent and agree to our collection and use of the Internet Protocol ("IP") address information and other related information for geo filtering purpose. Intellectual Property Rights & License 4.1	The Service is derived in whole or in part from materials supplied by us and/or other licensed sources, and are protected by all relevant intellectual property laws (including copyright and trade mark laws). All rights in the content of the Service and/or Software are owned or controlled by us or our respective licensors. 4.2	Our names, images, logos and those of third parties and their products and services are our proprietary marks and such third parties respectively. 4.3 We hereby grant to you a non-exclusive and non-transferable license for you to store, run and use the Software on your personal computer or viewing device for your accessing of the Service subject to and in accordance with the terms in this Agreement and any software license of the Software but not further or otherwise. (i)	we own and retain all rights to our Service, our Site and/or the Software and the Content. All trademarks, service marks and logos (“Marks”) on our Service, our Site and/or the Software are owned by or licensed to us. (ii)	you acknowledge that our Service, our Site, the Content, the Marks, and/or the Software are protected by copyright, trademark laws, and other Intellectual property right laws, and you further agree that you are being granted with a revocable, non-exclusive, non-transferrable, limited license, without right of sublicense, to access and use our Service, our Site, the Content and/or the Software contained therein in compliance with this Agreement. (iii)	nothing you do on or in relation to our Service, our Site, the Content, the Software, the materials contained therein will transfer any intellectual property rights to you or license you to exercise any intellectual property rights unless expressly stated by us. (iv)	we expressly reserve the right to take action against you in the event that you infringe any of our intellectual property rights or other rights of any person. (v)	the provisions in this clause 4 shall survive the expiry or any termination of the Agreement and/or your use of the Service. 5.2	During suspension of your access to any part or all of our Services (a) any rights we have in respect of your obligations under this Agreement which are not fulfilled by you shall continue to exist and binding; and that (b) your access to our Site, our Service, Content and Software, and that all licenses, rights and privileges granted to you under these T&C shall cease. 5.3	Upon termination of your user registration or account (where applicable), all access to the Service, Contents and Software and that all licenses, rights and privileges granted to you under this Agreement shall cease. 5.4	Any termination for whatever reason of this Agreement shall not affect any of our accrued rights and interest nor shall it affect the coming into force or the continuance in force of any provision contained in this Agreement which is expressly or by implication intended to come into or continue in force on or after such termination. (v)	terminate, limit or suspend your access to any part or all of our Service according to clause 5 above. 7. Third Party Materials 7.1	Our Service or our Site may contain materials from third parties and/or hyperlinks to third party websites. Your use of third parties’ websites and/or materials linked to our Service may be governed by additional or different terms and conditions. Those additional terms and conditions of such web pages and applications will apply to you in addition to these T&C and will prevail over these T&C if there is any inconsistency regarding your use of those web pages and/or applications. 7.2	We make no representation about, and we do not endorse and could not control the reliability or performance of any software, materials, applications, media platforms, devices or services of third parties (e.g. our information suppliers or advertisers or sponsors or promotional partners) that you may access through, or are linked to or embedded in our Service. You agree that any use of such software, materials, applications, media platforms, devices or services will be at your own risks. You expressly relieve us from any and all liability arising from your use or access of any third party website or materials. 7.3	We have no control over any third party websites linked to our Service or our Site and we are not responsible for the content or accuracy of any off-site pages or any other third party websites linked to our Service or our Site (including without limitation sites linked through advertisements). Some links which appear on our Service or our Site are automatically generated, and may be offensive or inappropriate to some people. 7.4	The inclusion of any link does not imply that we endorse the linked site, and you agree to access those links at your own risk. We are not responsible or liable in any way for any loss or damage of any sort incurred or allege to have incurred, either directly or indirectly, as the result of your reliance, use, dealings of or as the result of the presence of such links and advertisements on our Service or our Site. 7.5	This clause 7 will survive the termination or expiry of this Agreement and/or your use of the Service. 8. Disclaimer of Any Warranties and Limitation of Liabilities 8.1	Our Service and all materials delivered to you through our Service are provided “AS IS” and on an “IS AVAILABLE” basis without any representation or endorsement made by us and without our warranty of any kind whether express or implied, including but not limited to the expressed or implied warranties of merchantability, fitness for a particular purpose, non-infringement, compatibility, security and accuracy. You expressly agree that your use of our Site, our Service, the Software and/or the Content and/or content obtained through your use of the foregoing are at your own discretion and risk and that you will be solely responsible for any damage arising therefrom. (ii) your inability to gain access in whole or in part to our Service due to the delay or failure of any communication networks or any party providing such access. 8.3	We do not warrant that the functions or material contained in the Service will be uninterrupted or error free, that defects will be corrected, or that the Service or the software or the device or the server that makes it available are free of viruses or bugs or represents the full functionality, accuracy, reliability of the materials. 8.4	We will not be liable to you or any other third parties, including users of our Service (whether authorized or not), for any failure or delay in accessing our Service or any part thereof (whether due to the reliability and stability of your Internet connection and its speed and bandwidth, or otherwise) and/or the consequences or effects on your mobile network, internet connection, their speed and/or bandwidth that may be caused by our Service. 8.5	To the fullest extent permitted by applicable law, we and the providers of our Site, our Service, the Software and/or the Content disclaim all representations and warranties of all kind, whether expressly or implied, including but not limited to the title, fitness for a particular purpose, merchantability, non-infringement, accuracy or standard of quality of our Site, our Service, the Software and/or the Content, that our Service or your access to or use of our Service will be uninterrupted or error free, free of viruses, malicious code or other harmful components or otherwise secure, that defects will be corrected, that our Service or the software or the device or the server that makes our Service available are free of viruses or bugs, or that the materials provided through our Service are functional, accurate, reliable. We further disclaim any representation or warranty that our Site, our Service, the Software and/or the Content will meet your requirements. (ii)	In no event shall we be liable for any damages, whether direct or indirect, or consequential damages, whether in action of contract, negligence, or other tortuous action, arising out of or in connection with your use or omissions, or conducts of any party in connection with or related to your use of the Service that materials in the Service are appropriate or available for use outside Hong Kong. Those who choose to access the Service from other locations do so on their own initiative and are responsible for compliance with local laws, if and to the extent applicable. (vi)	any infringement of any intellectual property rights arising from your use of our Site, our Service, the Software, or the Content. 8.8	For the avoidance of doubt, nothing in this clause 8 seeks to exclude any liability arising from any fraudulent act or omission on our part. (vii)	the personal information submitted by you. 9.2	This clause 9 will survive the termination or expiry of this Agreement and/or your use of the Service. 10	Force Majeure 10.1 We will not be liable to you by reason of any failure or delay in the performance of our obligations hereunder on account of events beyond our reasonable control, which may include, without limitation, strikes, material shortages, riots, fires, flood, storm, acts of God, war, terrorism, governmental action, labour conditions, earthquakes, failure of the Internet or extraordinary connectivity issues experienced by telecommunications providers. Upon the occurrence of a Force Majeure event, we are not obliged to performance of our obligations for so long as the Force Majeure event continues, and for such further period of time that we may reasonably require to recover from the effects of such Force Majeure event. 11	Ability to accept these T&C 11.1	You affirm that you are either 18 years old or above, or possess legal parental or guardian consent, and are fully able and competent to enter into the terms, conditions, obligations, affirmations, representations, and warranties set forth in these T&C, and to abide by and bound by these T&C. 11.2 You acknowledge that we have given you a reasonable opportunity to review these T&C and that you have agreed to them. 12	Others 12.1	Nothing in this Agreement, whether express or implied, is intended to or shall confer any rights, benefits, or remedies of any nature whatsoever under or by reasons of this Agreement or the Contracts (Rights of Third Parties) Ordinance (Cap 623) on any persons other than the user and our company and their respective successors and assigns. 12.2	If any provision of this Agreement becomes or is held to be illegal, invalid or unenforceable for any reason, such term or condition shall be divisible from this Agreement and shall be deemed to be deleted from the Agreement and the remaining provisions will remain in full force and effect to the maximum extent permitted by law. 12.3	The failure of our enforcement of any right or provision of this Agreement will not be deemed a waiver of such right or provision. 12.4	We may appoint agents, assign or sub-contract the whole or any part of our rights and/or obligations contained in this Agreement to any person or entity at any time. You shall not assign, transfer, convey or otherwise dispose of any of your rights, obligations and/or liabilities under this Agreement to any person or entity without our prior written consent. (iii)	on the third business day following posting, if posted by certified or registered mail, postage prepaid to our registered office or such other address as shall be specified by us from time to time. 13.2	All notices and other communications hereunder which we give to you will be in such form and manner as we deem it is appropriate and it shall be deemed to have been duly given when sent, if transmitted by electronic mail, mobile short message (SMS), WhatsApp or facsimile transmission; on the day on our Site, or on the third business day following posting, if posted to your address last notified to us. 14	This Agreement, Interpretation and Modification 14.1 We have the sole discretion to interpret and determine these T&C. 14.2	We have the right to modify the T & C posted without prior notice. Please keep yourself updated by regularly viewing the Service. Your use of the Service following the posting of any changes to the T & C will constitute your acceptance of such changes. 14.4	This Agreement and these & C shall be governed by and construed in accordance with the laws of Hong Kong. Disputes arising therefrom shall be exclusively subject to the jurisdiction of the courts of Hong Kong. 14.5	If there is any inconsistency or conflict between the English and Chinese versions, the English version shall prevail. 1. Our website and all materials and contents available or delivered to you via this Website and/or other media platforms programs and/or applications of TVB Publications Limited (collectively the " Service") are provided “AS IS” and on an “IS AVAILABLE” basis without any representation or endorsement made by us and without our warranty of any kind whether express or implied, including but not limited to the expressed or implied warranties of merchantability, fitness for a particular purpose, non-infringement, compatibility, security and accuracy. You expressly agree that your use of our Service (or any part of it) and/or content obtained through your use of the foregoing are at your own discretion and risk and that you will be solely responsible for any damage arising therefrom. 3. We do not warrant that the functions or material contained in the Service will be uninterrupted or error free, that defects will be corrected, or that the Service or the software or the device or the server that makes it available are free of viruses or bugs or represents the full functionality, accuracy, reliability of the materials. 4. We will not be liable to you or any other third parties, including users of our Service (whether authorized or not), for any failure or delay in accessing our Service or any part thereof (whether due to the reliability and stability of your Internet connection and its speed and bandwidth, or otherwise) and/or the consequences or effects on your mobile network, internet connection, their speed and/or bandwidth that may be caused by our Service. 5. To the fullest extent permitted by applicable law, we and the providers of our site, our Service, the and/or the content thereon or therein, hereby disclaim all representations and warranties of all kind (if any), whether expressly or implied, including but not limited to the title, fitness for a particular purpose, merchantability, non-infringement, accuracy or standard of quality of our Site, our Service, and/or the content thereon or therein, that our Service or your access to or use of our any part of the Service will be uninterrupted or error free, free of viruses, malicious code or other harmful components or otherwise secure, that defects will be corrected, that our Service or the device or the server that makes our Service available are free of viruses or bugs, or that the materials provided through our Service are functional, accurate, reliable. We further disclaim any representation or warranty that our Site, our Service, and/or the Content will meet your requirements. (ii) our system maintenance, upgrading, testing and/or repairs,(iii) the reliability and stability of your Internet connection and its speed, its bandwidth, its system and services and (vi) any other third party’s software or services; and/or (v)	any infringement of any intellectual property rights arising from your use of our Site, our Service, or the Content. 8. For the avoidance of doubt, nothing in this Disclaimer seeks to exclude any liability arising from any fraudulent act or omission on our part.